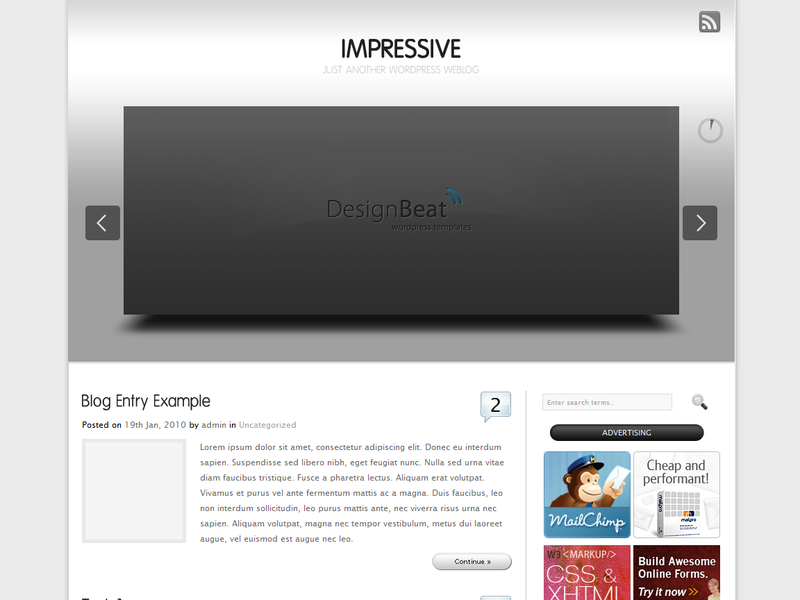 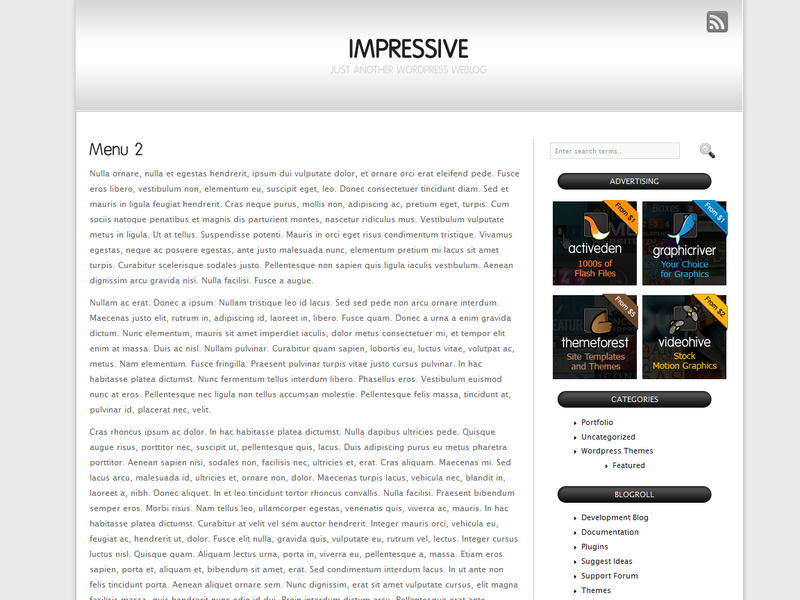 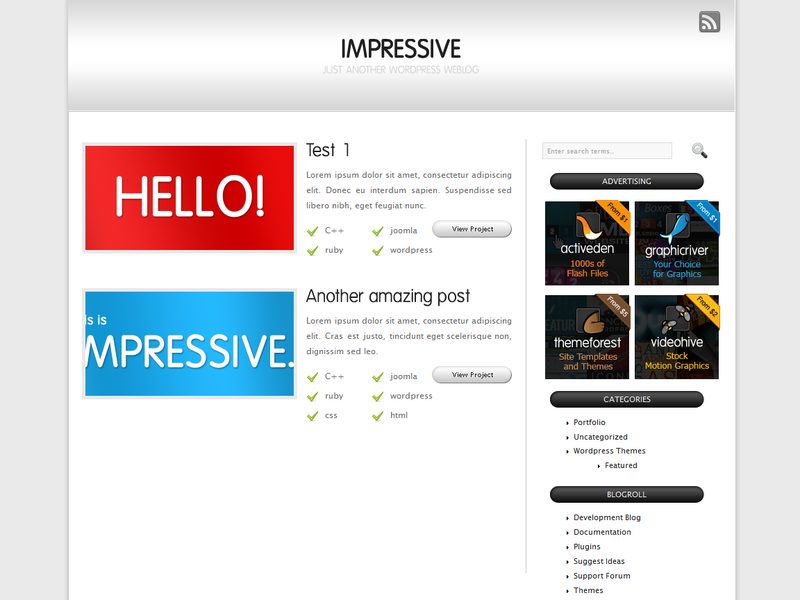 Impressive is a nice Wordpress theme that is best suited to all kind of web publishers, bloggers, designers, etc. 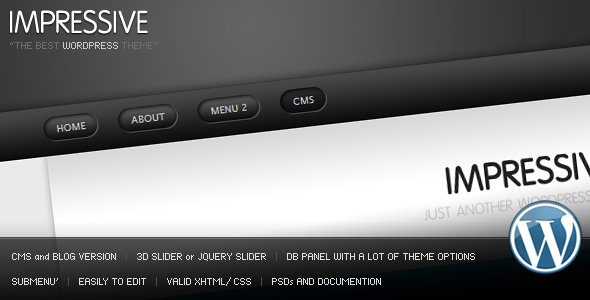 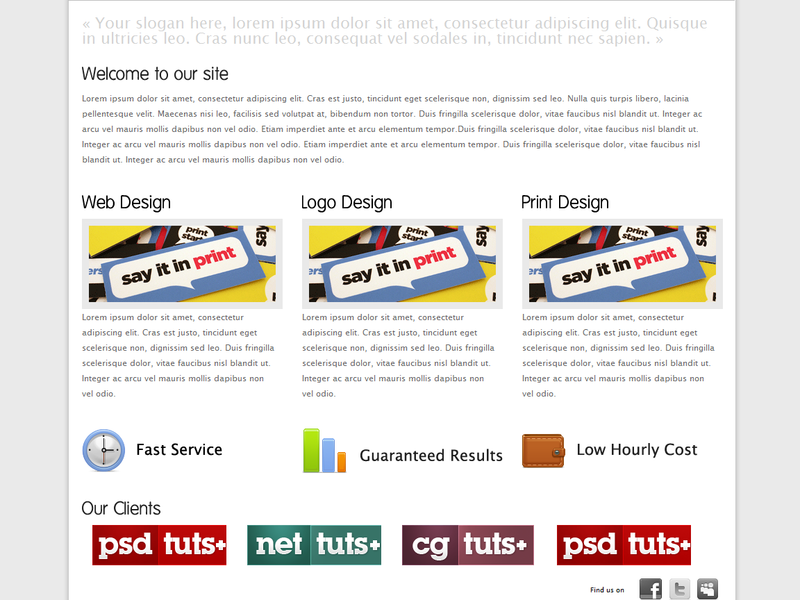 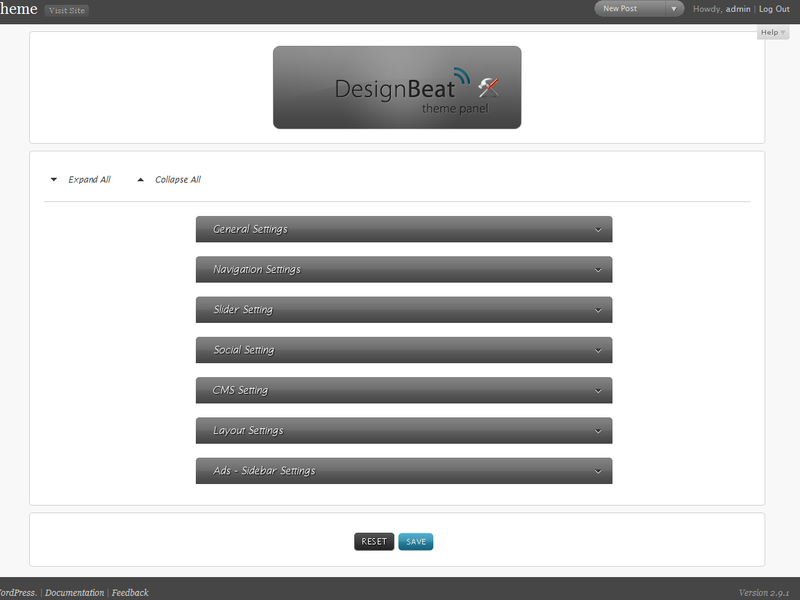 It comes with tons of features in a beautiful theme options specially designed themeforest clients. 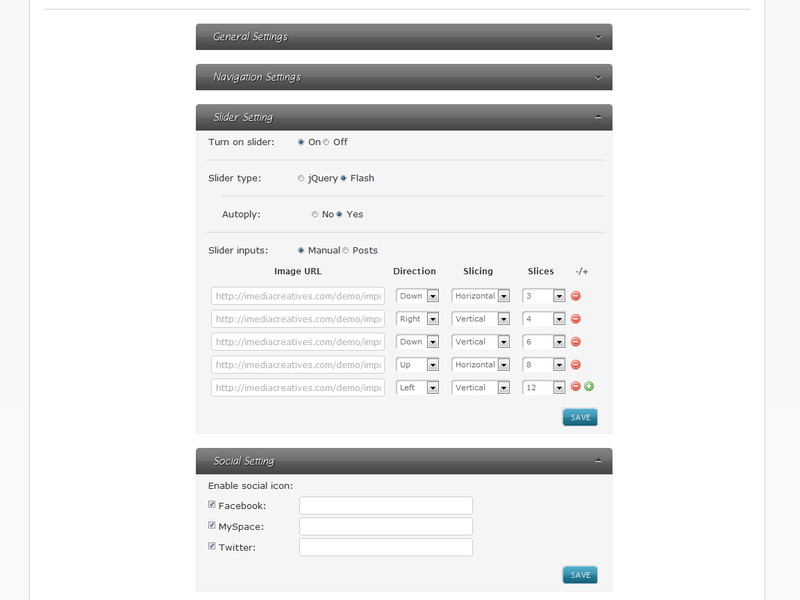 manage the sliders, either jQuery of 3D, upload images or retrieve dynamically from posts, sets the direction, orientation of cu3er, etc.